SUMMARY: Cyst Removal at Snowberry Lane Clinic uses RadioSurgery, which allows for precision cutting of the skin using a very thin wire, the wire is heated with radiowaves which means the blood vessels are sealed as it cuts making for a clean and efficient removal. 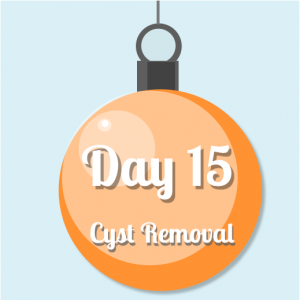 This entry was posted in Cyst Removal by Emily. Bookmark the permalink.